Scope overview: Consolidate two separate fish processing facilities at Strahan and Port Huon into one wet processing operation at Parramatta Creek. Huon Aquaculture Group are Australia’s premiere privately owned salmon aquaculture company. 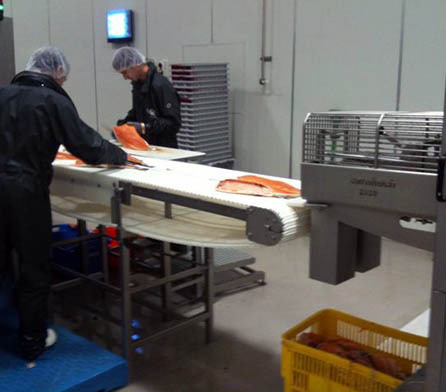 The group consolidated two separate fish processing facilities at Strahan and Port Huon into one wet processing operation at Parramatta Creek. 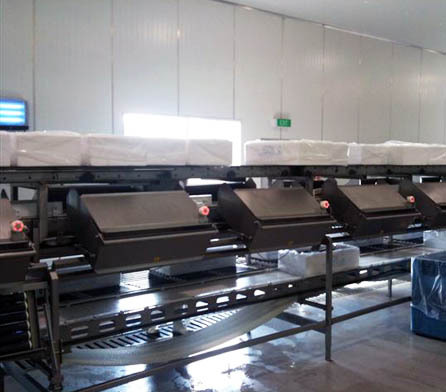 Huon approached Wiley to design and construct the 2826m2 facility capable of processing up to 14,000 tonnes of wet salmon and trout per annum. Lack of space for required upgrades. Lack of adequate waste treatment facilities. Restriction of the movement of fish between the growing regions because of biosecurity concerns. Facility designed and constructed in stages and allowance for future expansion. Innovative contracting using a partnership approach enabling flexibility and decisions to be made on the go. 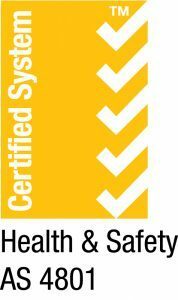 Concept design, environmental, planning and regulatory approvals. Conversion of the existing plant (previously Bellamy Organic Baby Food) to meet International Export Food Processing Standards. Design allowing for Stage 2 of the development which relocates the value adding facility to the site. The value adding operation includes smokehouses and the new site almost eliminates any environmental nuisance. Design incorporates opportunity for future expansion. Waste water treatment plant treating effluent allowing reuse of wastewater for irrigation as opposed to disposing of it. Wiley managed a challenging timeframe by fast-tracking design and construction of the building and services which including refurbishment of amenities. Sourced and coordinated local subcontractors. Allowing fish from different growing regions to be processed at one facility. Treating and reusing all waste water previously disposed. Allowing for Stage 2 of the development. Opportunity to expand in the future without significant environmental impact. The development is aligned with the company’s strategic plan to incorporate the latest processing technology to provide flexibility and enhance product quality. 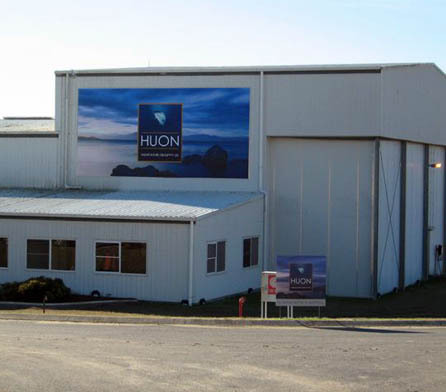 It also allows Huon to ensure a sustainable development for future operations. The result is a more efficient and sustainable facility allowing Huon a higher yield and potential for future.